I picked up some strawberries today to make my kids an early Valentine’s Day treat. 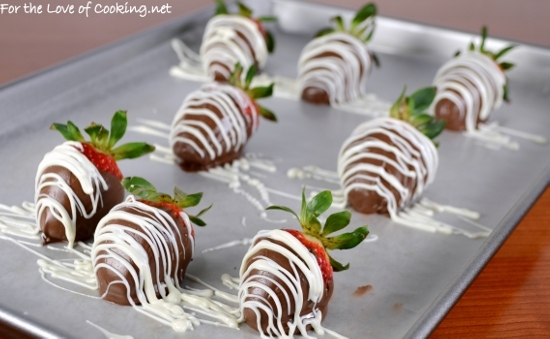 I dipped them in melted milk chocolate then drizzled them with white chocolate. I ended up adding a little bit of coconut oil to the white chocolate as it melted because it was too thick – thankfully, it worked perfectly! They looked pretty, tasted amazing, and made my kids feel special. Wash the strawberries then place them on a paper towel to air dry. They must be completely dry before dipping them in milk chocolate. Place the chocolate chips in a glass bowl then put into the microwave for 30 seconds. Remove and stir then place back into the microwave for 20 seconds. Remove and stir then place back into the microwave for 10 seconds. Remove and stir until completely melted. If needed, continue cooking for 10 second increments. Be careful not to overcook the chocolate! 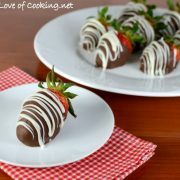 Hold the strawberry by the stem and dip into the melted milk chocolate then place on a baking sheet topped with wax paper. Repeat with the remaining strawberries. 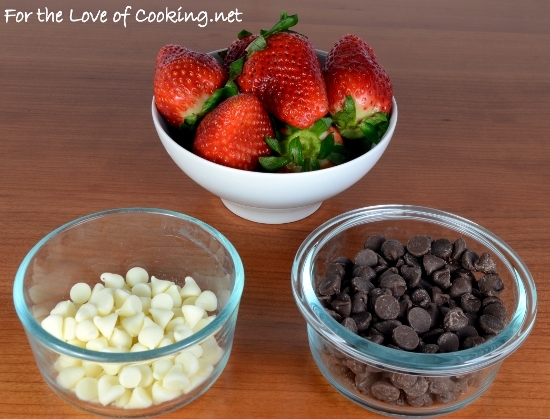 Place the white chocolate chips in a glass bowl along with the coconut oil. Remove and stir then place back into the microwave for 20 seconds. Remove and stir then place back into the microwave for 10 seconds. Remove and stir until completely melted. Spoon the white chocolate into a small ziplock bag. Cut a super small hole in the corner of the bag and drizzle the white chocolate back and forth over each strawberry. Place into the refrigerator for at least 15 minutes before serving. Enjoy! Spoon the white chocolate into a small ziplock bag. Cut a super small hole in the corner of the bag and drizzle the white chocolate back and forth over each strawberry. They look so beautiful and delicious…just the right sweet treats for the V-Day. Look at you being all artsy and stuff. Mine would not turn out looking this good but I’d get points for trying. 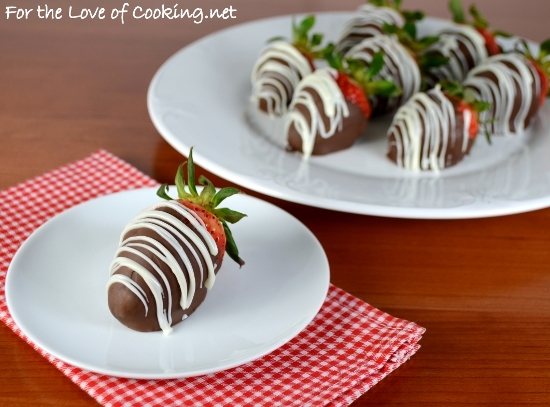 Strawberries and chocolate: what’s not to love? These look beautiful, Pam. How lovely. I want one. They look so elegant, Pam! Coconut oil is a great addition! I am drooling over those pictures!!!! My god, they look so mouthwatering. What a brilliant combination. Chocolate covered strawberries are the best! So tasty for such a simple treat. Mine don’t ever look this good, but practice makes perfect. 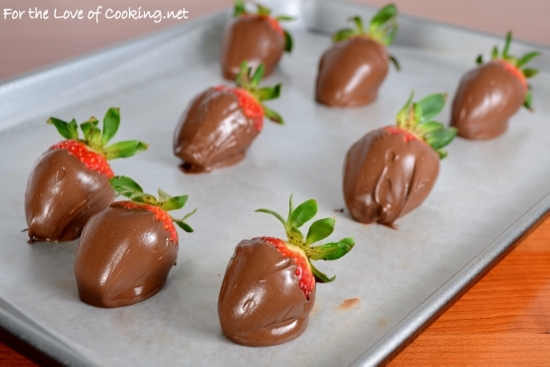 And even ugly looking chocolate covered strawberries taste delicious!